The term kompetensutvisning is translated to mean “skill/competence deportation”. According to The Local se “ the name was coined by newspaper Svenska Dagbladet in 2017 to highlight the absurdity of Sweden's efforts to attract more international talent while at the same time making it difficult for these people to stay in the country.” Luckily, logistics for immigration to Sweden are slowly improving. Companies are learning how to sign up for all necessary insurances, and to follow the strict instructions from the Migration Agency for bringing new hires to Sweden. 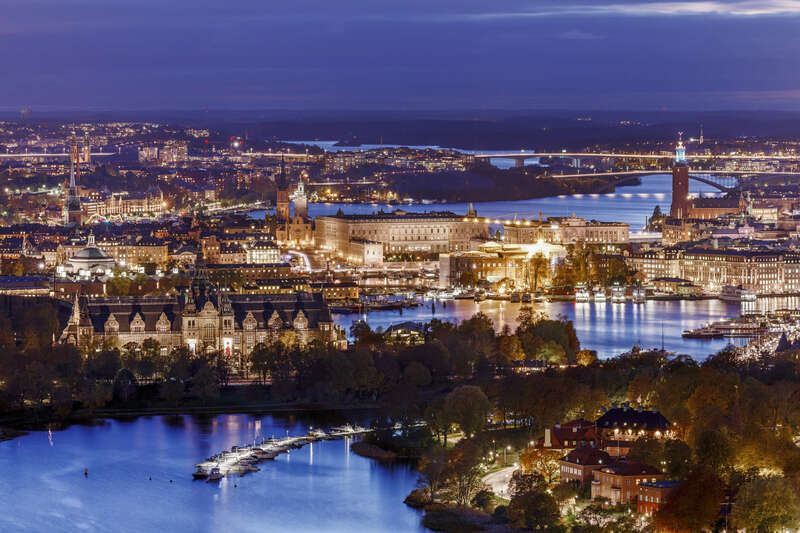 If you are new to bringing a new hire to Sweden, it is good to have all immigration paperwork and insurances in place so your company, and expats working for you, do not have fears of sudden expulsion from Sweden. If a work visa is declined, this will result in increased stress and distraction for your employee and their family, more expenses for your company, and much wasted time and energy on everyone’s part. Diversify reported “Over 75% reported adverse mental health effects related to the fear of rejection, an inability to access state services such as childcare and the inability to leave Sweden during the application process." Many Swedish companies have had to use their time and funds to try to keep their prized expats in the country because of expulsion notices from the Migration Agency due to small oversights in paperwork and/or insurances. Often, companies hire someone who has been in Sweden for a few years on a visa with a previous Swedish company. It isn’t until the expat is trying to get a visa renewal it may be discovered that the previous employers had mistakenly not followed all of the rules correctly on salary and/or insurances. The effect is that the residency and work is threatened for the new hire at their new job which can cause big headaches for the companies involved. Here is a simple recap of the most important steps you need to know. All this said, each immigration case is unique and you would do best to hire a professional to guide you and your new hire through the process. The position must be announced on Eures, a website powered by the employment agency to allow anyone within the European Union to apply for the job before it’s offered to someone outside the EU. This is usually the first step in any corporate relocation effort. Check the applicant’s passport expiration date so you can get the appropriate length of time for the permit. Without a residence permit, your new employee cannot live or work in Sweden. If any of your workers already have a residence permit, check to ensure that it hasn’t expired. All expired permits should be renewed before expiration or your talent may have to leave Sweden. Also, remember that depending on how long they have stayed on their current VISA different rules apply. This can cause you untold problems in the future. If an employee has been in Sweden before on a business VISA, probably for interviewing, this needs to be explained to the immigration authorities. You don’t want the migration agency to think that your new hire is already working in Sweden when their application is still pending. This too can severely hinder the application process unless the previous employment process and even the termination process were handled professionally. For instance, problems can arise involving faulty permits, missing payslips, and unfulfilled compensation promises. Ensure that the records for the past employment are squeaky clean so you do not pay the price later on. It’s common to offer employment, yet adding a clause in the contract that states that the offer is terminated in case the work permit isn’t approved. Every resident of Sweden is entitled to basic benefits such as healthcare, parental benefits, disability coverage, child allowances, and other insurance payments. Yet, non-EU nationals must also receive additional insurance covers such as pension, life, occupational injury insurance and loss of income insurance. There are some exceptions for EU blue card holders, ICT permit holders and there’s also an age requirement for the pension. In addition, make sure previous employers in Sweden had the correct insurances as well as, if not, this will adversely affect renewal. Finally, anyone who works in Sweden must have a decent salary. In fact, the Swedish government has made it very clear that any foreign national employee MUST be paid at least as much as their Swedish counterparts in similar positions are paid. Make sure the salary you are planning to offer is acceptable to the union. Failure to do so would amount to a breach of the law. Even companies that don’t have a so-called “collective agreement” (Kollektivavtal) must reach out to a relevant union and ask them to qualify the terms. Some union will do that while they may state that the company doesn’t have an agreement with them. Thus far that has been acceptable to the Migration Agency. Follow our guidelines above and you will be off to a good start for an efficient transfer of your employee to Sweden. If you would like to learn more about these topics you might be interested in our Immigration Guide on our website with more important details about Swedish Immigration. You can also download our handy checklist for bringing new hires to Sweden.